Arlen Polifka, 85, Hays, died Friday, April 12, 2019 at HaysMed. He was born March 31, 1934 in Hays the son of Frank and Alice (Polifka) Polifka. Arlen graduated from Hays High School in 1952. He then worked on the family farm near Catharine where they farmed, ran cattle, and a host of other jobs. On February 16, 1957 he was united in marriage to Mary Jane Rohleder in Emmeram. They enjoyed 56 years of marriage before she preceded him in death on January 3, 2013. To this union were born three sons. In 1961 they moved to a farm south of Quinter where they lived for 37 years before retiring to Hays in 1998. He was a member of St. Nicholas of Myra Catholic Church and Park Knights of Columbus Council #2538. 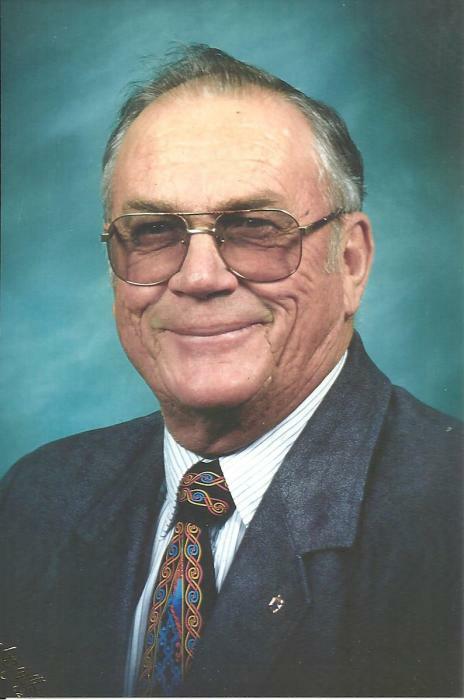 Arlen had a passion for farming, ranching, and building. He especially loved harvest time, growing crops, cattle, and his children. When grandchildren came along he found a new love, his grandchildren. He loved telling and teaching them about agriculture and they enjoyed listening to him and learning from him. When great-grandchildren arrived, Arlen moved on to teaching and loving them with a big heart. They loved his stories, looking forward to them whenever they were together. Survivors include three sons; David Polifka of Quinter, Mark Polifka and wife Karin of Ellis, and John Polifka and wife Eliane of San Diego, CA, a sister; Jeanette DeNucci of Westminster, CA, a sister-in-law; Ruth Polifka of Catharine, eight grandchildren; Justin Polifka and wife Amy of Quinter, Joel Polifka and wife Allison of Quinter, Audrey Girard and husband Joey of Bryan, TX, Jared Polifka and wife Tracy of Hays, Bethany Polifka of Lenexa, Sam Polifka of Ellis, Kiara Polifka of San Diego, CA and Alex Polifka of San Diego, CA, five great-grandchildren; Braden and Camden Polifka of Quinter, Bryson and Karston Polifka of Quinter, and Kruze Polifka of Hays, and numerous nieces and nephews. He was preceded in death by his parents, his wife, Mary Jane, and a brother; Francis Polifka.